In November 2016, the New American Funding Charlotte Branch was established. Located on Toringdon Way off of 485, the branch continues to grow with hardworking individuals and staff members who strive for nothing short of absolute satisfaction for the customers. This office is anchored by Branch Manager Oscar Reto industry veterans Senior Loan consultant Bernie Rebollar, Juan Giraldo, Quentin Hazell, Rita Hazell ,Troy Matzke, and Loan consultant David Howard. 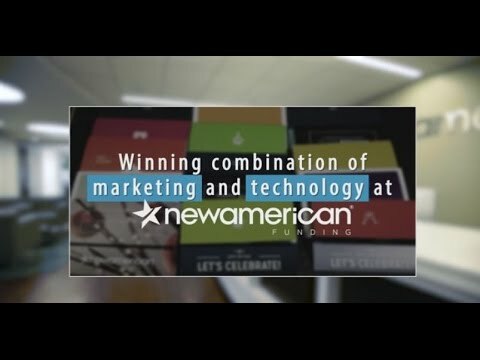 With our seasoned and dedicated loan officers here in Charlotte, our New American Funding Charlotte office provides first-time residential buyers with hands on education, a step-by-step process from qualification to closing, and maintains lasting relationships with customers as well as real estate agents. David kept us informed throughout the entire process. He is extremely friendly and has tremendous knowledge regarding mortgages and financing. He was especially helpful in coaching us on the positive aspects of debt consolidation and how it would lower our monthly obligations and allow us to make those needed repairs to our home. It’s been a real blessing. He even showed up at the closing, a first for us. We would highly recommend David to our friends and family members. Juan is an amazing loan officer. I had 4 transactions so far and I am extremely happy. Excellent communication and also excellent time management. Thank you Juan!!!! The level of commitment dedicated to my individual and unique situation was exactly what I now expect from any investment venture I may enter into. They really set a standard of excellence. Bernie, did a great job on all the follow up’s and was very quick to return my calls and emails. The hold process was time sensitive and he stayed on top of the hold process from start to end. Bernie very professional and knowledgeable. Thanks Bernie again you were Awesome!!! Rita was instrumental in changing my entire life. I have the most beautiful home I could ever imagine. It’s already appreciated in value and I closed last week! The patience the agent provided. The way she explained information to me. She was courteous and professional at all times. She expressed genuine care for my account. I felt blessed to have her and her team to assist me with the difficult process. Troy did a terrific job in assisting my clients obtaining a loan. He was GREAT to work with and communicated very well. Troy went above and beyond his duties even to travel to the clients house to obtain documents. Thank you Troy. My transaction with Rita was seamless and made my client feel comfortable throughout the transaction. Closing occurred on time without any lender delays. Rita was great to work with and would highly recommend her services. Thanks troy great job!! the whole transaction was a very easy and simple !! THANKS TO YOU !! Troy was amazing during the whole process. Anytime I called or emailed with questions a quick response was given. Troy took his time and explained the spoken and unspoken needs. There were times that I felt unsure and Troy stood fast and keep the process going. My first time buying a house was as smooth as smooth could be. Troy and Jody takes pride in their clients and are dedicated to their work. Troy has my vote for employee of the year! Juan was a key component when I was in a multiple offer situation trying to win in a bidding war for my buyer's dream home. The seller needed to move out ASAP and Juan helped me scheduling the closing within 14 days of acceptance! Not only Juan Giraldo closed on time but he's also reliable, honest, courteous, in other words, and he's a people's person. He really takes care of his clients with integrity and has always positive attitude. Bernie was knowledgeable and communicated effectively while providing excellent customer service. His honesty made me comfortable with the process and garnered my trust in the company. From start to finish everything was great. The help and the communication was great. Marina was awsome. Thank you all for all the hard work and making me dream come true. It’s been a pleasure working with Rita Hazell and her team. They are excellent at explaining the process to my clients and giving them all of their available options. I would definitely refer them to my clients, friends and family. I look forward to putting more people into homes this year with her help. Oscar and Marina did a wonderful job! Thank you for the wonderful customer service! Oscar was always very professional and always available during every step of the process. Very reliable and great with constantly communicating any updates. My wife and I felt like he was always looking out for our best interest and most important, he delivered. In all aspects of the process, the prompt answer when I needed, the confidentiality, the profesionalism with he manege the prosses, and much more. Troy and his team did an outstanding job in helping us to secure a loan and close on our home in about 1 months time. Troy was excellent in getting back to us and answering any questions that we had. Can’t say enough about the excellent customer service we received from everyone. Thank you all.